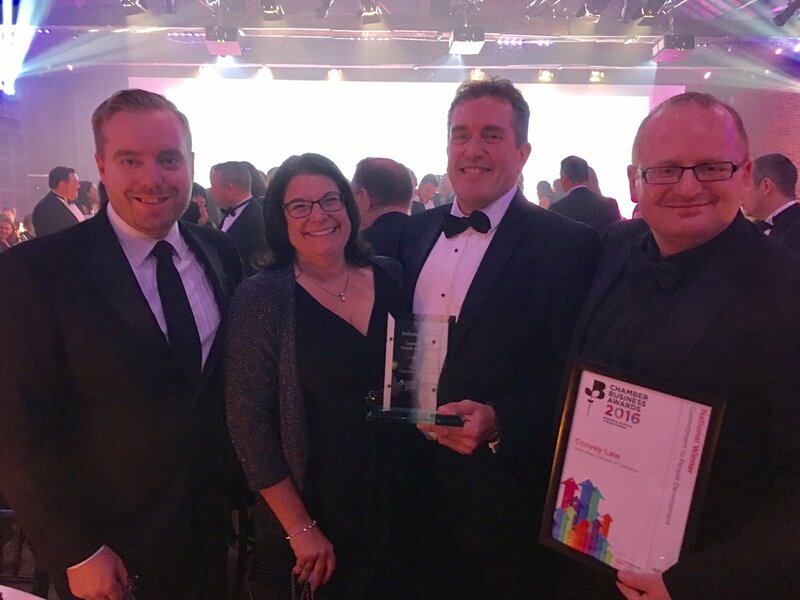 We are delighted that Convey Law were announced winners of the People Development Award last night at the prestigious British Chamber of Commerce Awards ceremony. 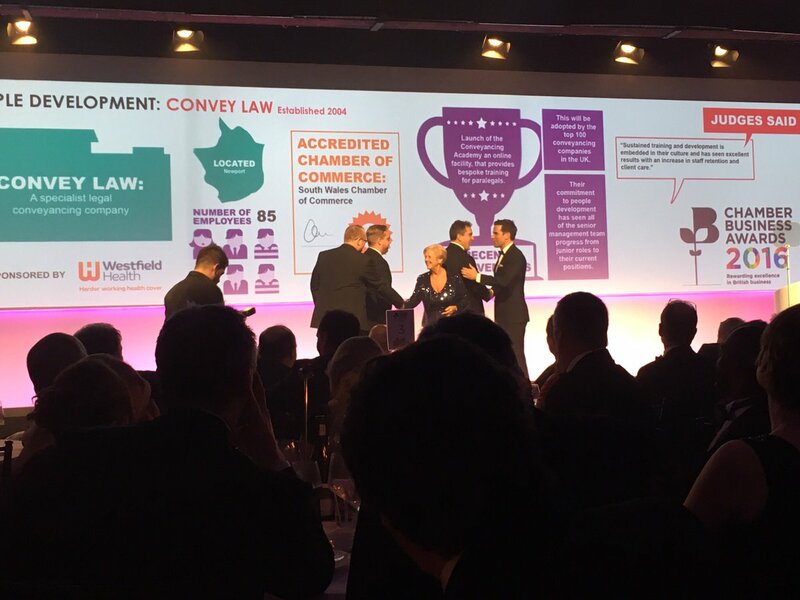 Convey Law won our ‘Commitment to Skills & People Development’ category and Overall Winner in our South Wales Chamber Awards 2015, presented earlier this year. Two of our other members were also very worthy finalists in the awards. The very best of British business were celebrated at the British Chamber of Commerce’s annual Chamber Business Awards ceremony last night. The Chamber Business Awards, which is now in its 13th year, is one of the showpiece events in the business calendar, highlighting the role of business in delivering growth and prosperity for the UK and local communities. Businesses from across the country came together at the gala dinner, hosted by TV presenter Gethin Jones, to mark the outstanding achievements of both UK firms and Chambers of Commerce. 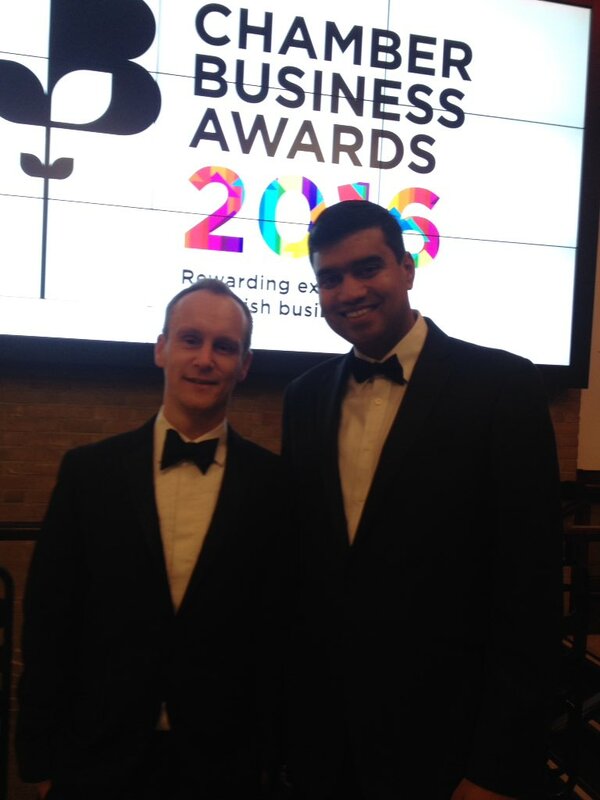 Scientifica also won the award for Business of the Year, and as a prize will be invited to open the London Stock Exchange on the 13th of March 2017, the day the Chamber Business Awards 2017 are launched. Join us for a delicious lunch at The Clink, Cardiff.